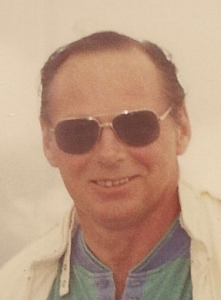 Raymond “Ray” E. Eyles Sr.
Raymond “Ray” E. Eyles Sr. 74, a long-time resident of Keene and formerly of Fitchburg, Massachusetts died on Saturday, January 12, 2019 at Cheshire Dartmouth-Hitchcock Medical Center in Keene. He passed peacefully with the love of family near after a period of declining health. Raymond was born the son of the late Lucienne (Bibeau) and Alfred Eyles on May 21, 1944 in Fitchburg, Massachusetts. He attended schools in Fitchburg and gradated from Fitchburg High School class of 1962. On September 28, 1991 he exchanged vows with Donna Bickford at the Keene Assembly of God. They were married with family and friends in attendance and have been married for twenty-seven years. Ray worked as an appliance repair man for the MCM Furniture Co. in Leominster, MA. for twelve years before retiring in 2006. He enjoyed camping with his family and friends. Time was also spent enjoying family and family events. Ray was one who could fix just about anything if you gave him a few minutes to look at the project and figure out the problem. Mr. Eyles is survived by his wife, Donna Eyles of Keene. His children; Cheryl Spagnola and her husband, John of Gardner, MA. Raymond Eyles Jr. and his wife, Julie of Winchendon, MA. Robert Eyles of Sterling, MA. Heidi Boroski and her husband, Shawn of Myrtle Beach, S.C. Candy Eyles and her significant other, Chris Summers of Keene. Kimberly Adyhaha of Tacoma Park, MD. Heidi Chandler and her significant other, Gregg DeSilva of Brattleboro, VT. and Sarah Weatherby and her husband, Ronnie of Keene. Ray’s siblings; Betty Eyles of Keene and Al Eyles of Fitchburg, MA. In addition, he leaves; twenty-one grandchildren, several great-grandchildren, cousins, nieces, nephews, extended family and friends. Ray is pre-deceased by his sister, Ellen Tuliano.